Inclusions: 2 Soups (1/2) / 2 Soft drinks + 1 Starter + 1 Main Course + 1 Dal + 4 pcs Breads + 2 Dessert. Having too much of a good thing is definitely a myth. 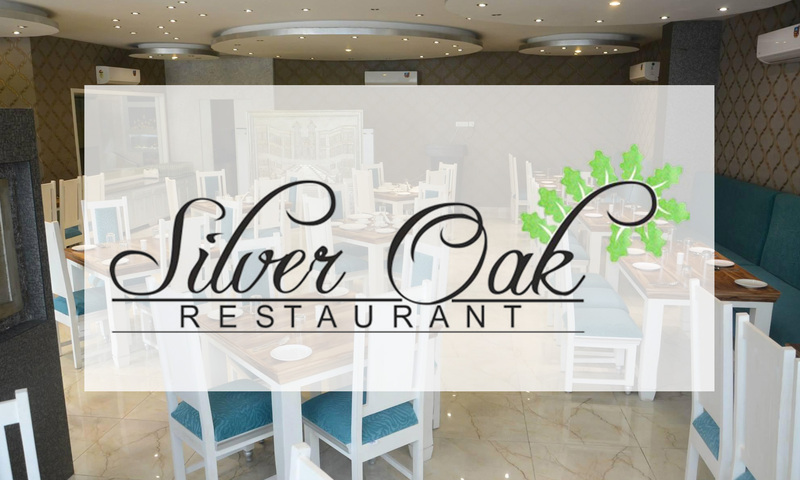 Head to Silver Oak and eat to your heart's content, for their menu consists of delicacies from the North Indian, Chinese and Continental cuisines. Located on GT Road, the ambiance of the restaurant is classy and soothing, with white furniture and contrasting blue upholstery. Adding to the charm are the twinkling lights on the ceiling, which gives the feeling of dining under the stars. Be treated like royalty as the warm staff attends to your every request. Bring your date here or get together with your family, you are bound to have a great time over delicious food.